John Chaney, still rallying the troops at the age of 83. Philadelphia, PA – The Temple Owls, now a nationally ranked football program, were only leading by one point at halftime against lowly UCF this past Saturday and were desperately in need of a spark for the second half. 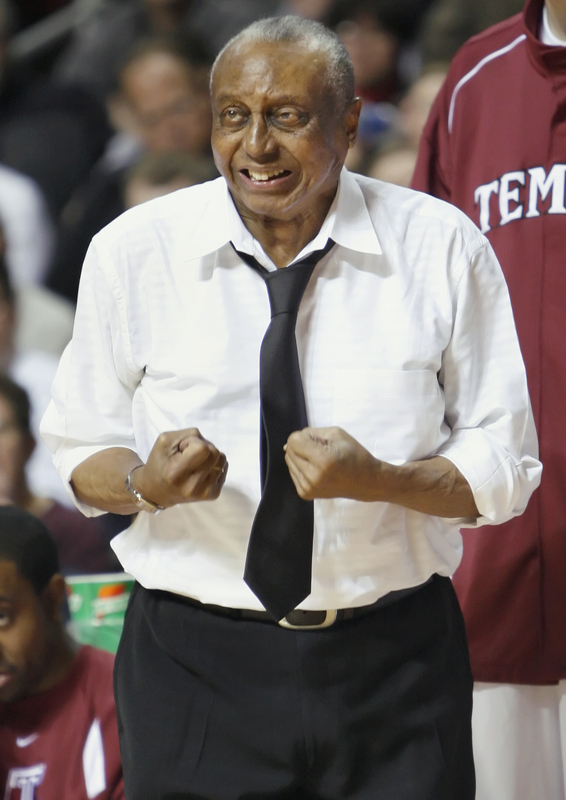 That spark was provided by legendary and near mythical Temple Owls basketball coach John Chaney, who reportedly “appeared out of nowhere” and launched into an epic halftime speech that had the Owls frothing at the mouth. Owls running back Jahad Thomas said Chaney then headbutted each member of the team’s defense before leading the entire squad in a rousing cheer. “He looked me right in the eye and told me to play the way god wanted me to, and I’ve never been so inspired in my life. If he had told me I could have run through a brick wall at that point, I would have done it. I love Coach Rhule, but Coach Chaney is the best,” Thomas said. At press time, Rhule said he went back to the locker room after his team ran out onto the field for the second half to thank Chaney for the inspiration, but the coach was nowhere to be found. It was like he disappeared into thin air.